HCM CITY — Travel agents in HCM City are offering a huge range of domestic and outbound tours for the upcoming Reunification Day holiday on April 30 and Labour Day on May 1, and many of them are fully booked. According to travel firms, the five-day holiday is a good opportunity for them to develop new domestic and outbound tours to sustain demand through this summer. Trần Thị Bảo Thu, marketing and communications director of Fiditour, said her company was focused on tours to popular beach towns and islands such as Phú Quốc, Nha Trang, Đà Nẵng, and Hạ Long. This time of the year is ideal to visit these places with many activities being organised there to attract tourists. Most outbound tours to neighbouring countries such as Thailand, Singapore, Malaysia, and Taiwan (China) have been fully booked, she said. Vietravel has many tour packages to new tourist destinations like Bình Liêu in Quảng Ninh Province and Tà Đùng in Đắk Nông. The company expects to serve 25,000 customers this holiday, up 10 per cent from a year ago. 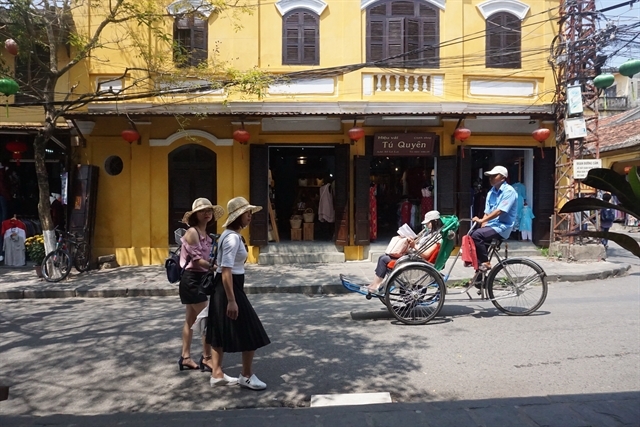 A Saigontourist spokesperson said prices of domestic tours are up 7-10 per cent during the holidays compared to normal days while prices of outbound tours remain unchanged, except to countries in Southeast Asia and Northeast Asia, whose prices have risen by 2-5 per cent. Saigontourist is offering tours for below VNĐ10 million (US$420) to destinations in the Cửu Long (Mekong) Delta and Central Highlands. It has announced attractive deals at its promotion event on April 6 and the HCM City Travel Fair from April 11 to 14.